OVERVIEW: Courage has no limits in the heroic action-packed film Skyscraper, arriving on Digital and via the digital movie app MOVIES ANYWHERE on September 25, 2018, and on 4K Ultra HD, Blu-rayTM, DVD and On Demand on October 9, 2018. The global blockbuster from Legendary Pictures and Universal Pictures is a non-stop, emotionallyvisceralthrill ride following Dwayne Johnson’s (Jumanji: Welcome to the Jungle, Fate of the Furious,“Ballers”) character as a real-world herowho will stop at nothing while trying to save his family from a deadly blaze. 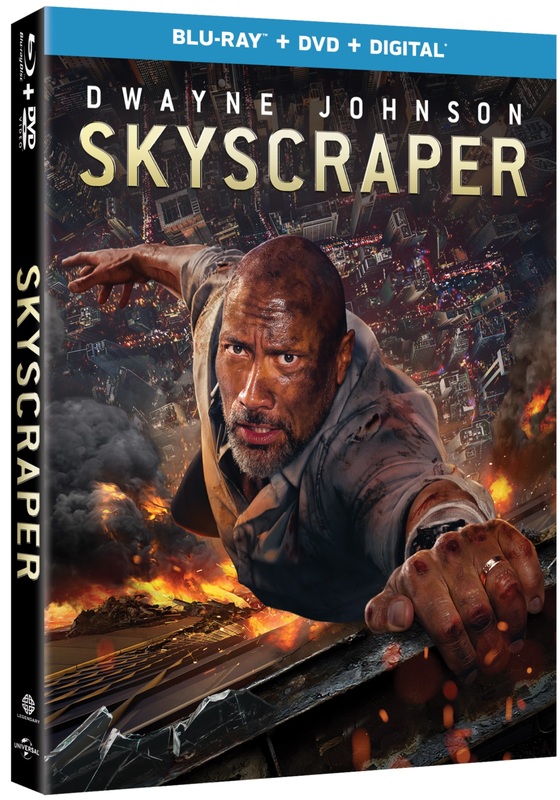 With over 30 minutes of never-before-seen bonus content –including deleted scenes and exclusive bonus clips, Skyscraperis a jaw-dropping, heart-pounding, palm-sweating, visually stunning film that keeps viewers on the edge of their seat from start to finish. 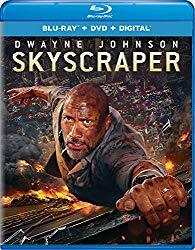 SYNOPSIS: Fueled with adrenaline and high impact verticality,Skyscraperis led by superstar Dwayne Johnson who plays former FBIHostage Team leader, U.S. war veteranand amputeeWill Sawyer.While on assignment in Hong Kongas an assessor for security in skyscrapers, he comes to find the tallest and safest building in the world suddenly ablaze, and he has been framed for it. Wanted and on the run, Will must find those responsible, clear his nameand save his family who is trapped inside the building... above the fire line. .
BLU-RAY: The film is presented in widescreen in a 2.40:1 aspect ration preserving its theatrical format. The picture is just flawless. Not only the picture looks great in this release, also the sound it is good, a 5.1 Master Audio in English that provides a good complement to the picture. It also includes English and Spanish subtitles. Movies Anywhere Digital App simplifies and enhances the digital movie collection and viewing experience by allowing consumers to access their favorite digital movies in one place when purchased or redeemed through participating digital retailers. Consumers can also redeem digital copy codes found in eligible Blu-rayTM and DVD disc packages from participating studios and stream or download them through Movies Anywhere. Movies Anywhere is available only in the United States. Digital lets fans watch movies anywhere on their favorite devices. Users can instantly stream or download..